When it came time to choose a preschool for our first child, I took it seriously. I have a hard time delegating out important tasks–this includes educating my children. Because as a parent, I believe that I am the first teacher and our home is the first classroom. At least this was the case in the beginning. Do I sound like a perfect candidate for a homeschool parent? Because I am not. For a variety of reasons. I became astutely aware from early on that I need to get my son out of the house. He needs things that I can’t offer him. He needs the regular company of his peers. He needs to develop strong and trusting relationships with adults outside of our family. And as a work-at-home parent, I need to get some work done. I also need to loosen my (admittedly tight) grip and let him live a bit of his own life. There is no reason I need to be “in the know” every time he has a bowel movement. Or exactly how many days of the week he eats all his vegetables. We are fortunate to live in a large city near dozens of wonderful preschools. Therefore choosing one was no simple task. Like any “good” Type-A mother, I approached the process with a lengthy checklist and a book of questions long enough to gather an eye roll from even the most patient preschool administrator. How diverse is the school? How do you handle discipline? Do the teacher’s receive ongoing education? And that is just getting started. 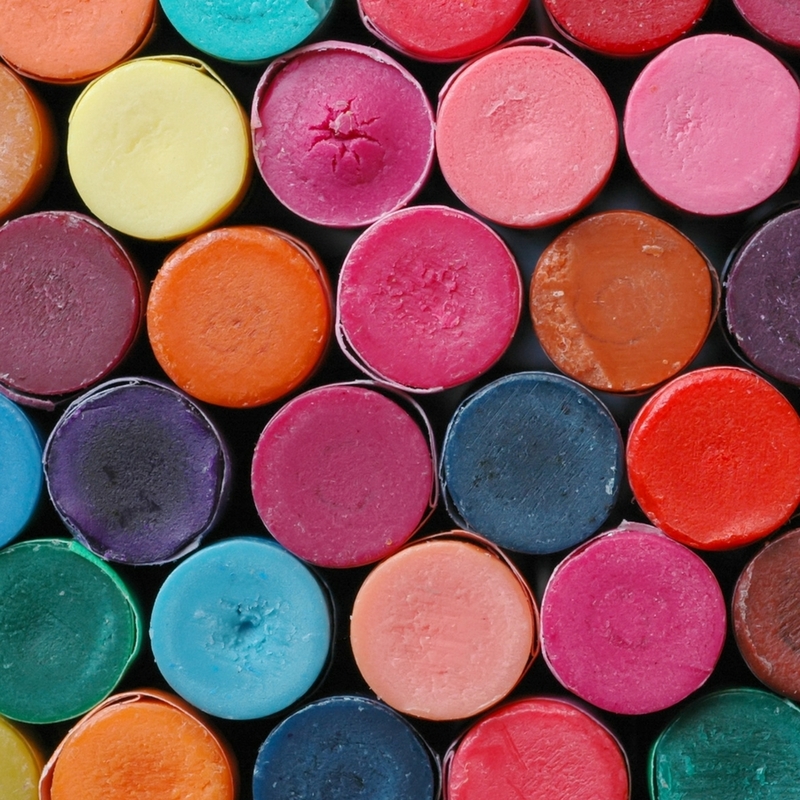 9 fundamental things to look for in a preschool. But I knew I had to “reign in my crazy” and narrow my book list of requests, and here they are. In the description of the school on the website, I look for phrases like “child-led,” “child-centered,” “play-based,” or “developmentally appropriate.” These phrases lead me to believe that the school will allow my child to pursue his own interests and will implement an amount of structure that is appropriate for his age. In the best preschools, the teachers are in control but the children are in charge of learning. Most schools have the children’s artwork adorning the hallways. Does every student use their handprint to make an identical Thanksgiving turkey? Are the snowman cutouts a carbon copy of each other? This is a red flag that the school might be a little too structured for my taste. I prefer to have the snowman’s goggly eyes glued on upside-down and on his feet–rather than having the teacher do it for my son the “right way”. All preschools are required to be licensed by the state in order to operate. This signifies they meet the bare minimum requirements to keep the doors open. On the other hand, accredited schools are not only licensed but then go beyond to meet higher standards set by private accreditation organizations. There are dozens of accrediting bodies (NAEYC, NAC, AMI, etc…) that set high standards for schools to meet. Take a minute to Google and investigate what each require–they aren’t all created equal. Whenever my son gets quiet, I get suspicious. But when I find him, he is quiet because he is completely engaged in something. Hopefully nothing dangerous or too messy. Engaged children can be more quiet than usual. Although play should often be boisterous and silly, more times than not it will be calm and quiet. You will find the students more engaged if the classroom provides opportunities for children to seek out their own learning interests. A school that has a rigid curriculum will often have stragglers who can’t stay on task–because every child learns at different rate. The children who “misbehave” are the ones who find the prescribed work either too easy, too difficult, or uninteresting. A child who really wants to build a block tower might be totally uninterested in a group lesson on the color orange. Let him build the block tower. If my child is entering the two-year-old program, I would ask how long each of the teachers in that program have been on staff. It is ideal to find a school where the teachers tend to stay for several years. Low turnover rates signifies that the school is well run, teachers are happy, and your child will be greeted by the same nurturing face everyday. On that note, I find out if there is a minimum education requirement for teachers. Most states only require the preschool teachers have a high school diploma. I inquire if teachers are required to have higher education or receive additional training after high school–because it can make a difference in the quality of education and a child’s experience. 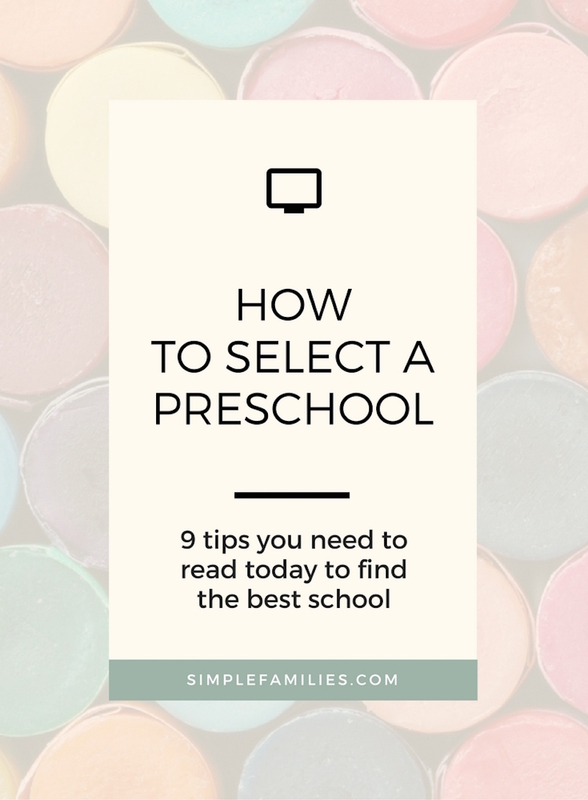 Choose a preschool close to home. My son sleeps 12 hours each night and takes a good nap each afternoon. On the list of important things in the life of a toddler, sleeping and eating take the cake. Without both, no child (or parent) will function well. Therefore, it is my requirement that a school is close enough to home that he won’t fall asleep on the drive home and destroy his nap. And that we won’t have to wake him extra early in order to get there on time. Preschoolers should not be doing worksheets or homework. They should be learning through play. Schools should have structure, but not a rigid curriculum. End of story. I do my best to let intuition guide big decisions. Does it feel right? Does it feel like a place where I would want to spend time? Is it a place where I want my child to learn and grow? During the early years a school should be an extension of the home. I pay attention to how I feel towards the the overall space and staff. I want it to be warm, nurturing, and calm–all characteristics I strive to create in our home. When you choose a preschool, remember there’s no blank space for “Preschool Attended” on the Harvard application. At least not yet. We take early education seriously in our house–in fact it encouraged us to start our own backyard chicken coop. You can read more about here.